We North Americans are not known for our moderation, and (obesity rates aside) one very obvious symbol of that is the mushrooming size of our homes. 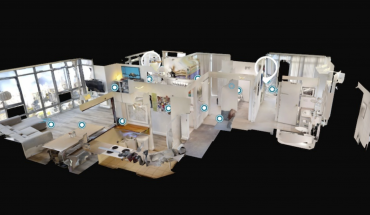 In just two generations, the size of an average North American house has almost tripled, from a modest 983 square feet in the 1950s to today’s whopping 2,349-square-foot behemoths. By comparison, vast swaths of Europe, Southeast Asia, and the UK have resisted the trend towards sprawling homes – in the UK, for instance, new houses are just one-third as large as new houses in the United States. 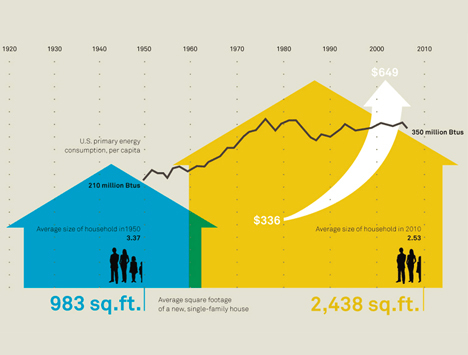 1950 house vs 2010 house, compared for size, occupants and energy use. Image via WSJ. So what exactly is driving our race for space? For the vast majority of families, it’s definitely not kids: in fact, the North American birth rate has dropped since the ’50s from an average of 3.6 kids per family (think “post-war baby boom”) to just 1.8. And it’s definitely not that we need to stretch out more: a study published in a fascinating book called Life at Home in the 21st Century showed that only a small portion (40%) of a home’s square footage is used with any regularity by the humans who live there. So what exactly are we doing in these sprawling structures? You guessed it: we’re storing our stuff. In 2012, the Wall Street Journal cited a study showing that 75% of home garages actually had no room to store a car. 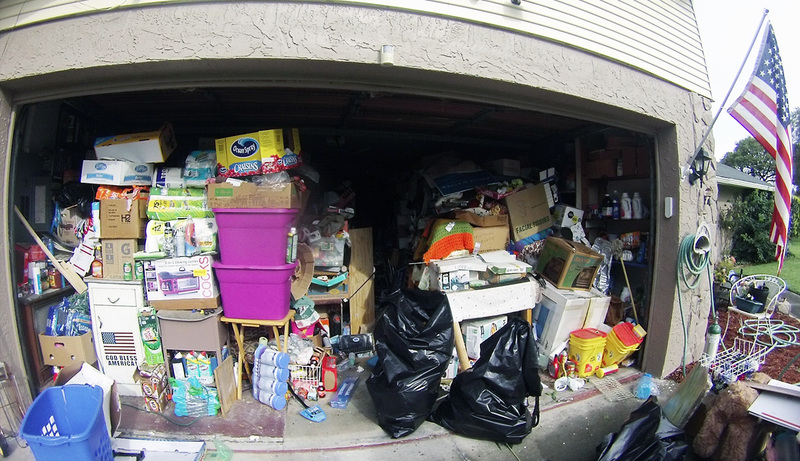 Instead, most were crammed to the rafters with a staggering 300 to 650 boxes, bins, and overflow items from the house. And these aren’t even the folks who make it onto Hoarding – this is just that nice couple from down the street who invite you and the 1.8 over for a barbecue now and then and feed the cat while you’re away. The same study showed a 30% increase in a family’s possessions for each new child, during the preschool years alone. So what’s the problem with big houses? Seriously, can’t we just live and let live? What’s the big deal? Well, actually, there are loads of problems. Houses are often far removed from city cores, which means more driving, more air pollution, more wear and tear on our roads, more congestion – and the stresses, financial and emotional, that go hand in hand with these. 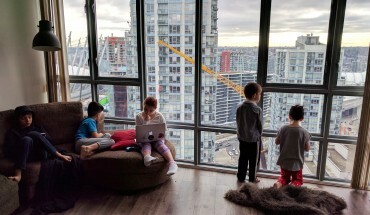 Houses use more resources to operate: in my personal experience, the utility bill for a house can easily be five to ten times what it costs to heat and light a condo. These things are straining our power grids. House neighbourhoods cost dramatically more to cover with police, fire, and other municipal services than the same number of households in a high-rise. And you, Mr Condo Dweller, are picking up part of the tab with your taxes. Houses colonize more of your life and psyche to maintain. Do you want to obsess over mowing your lawn, cleaning your gutters and replacing your roof? Or save your time and brain power for planning your next trip, getting outside and living, and so on? 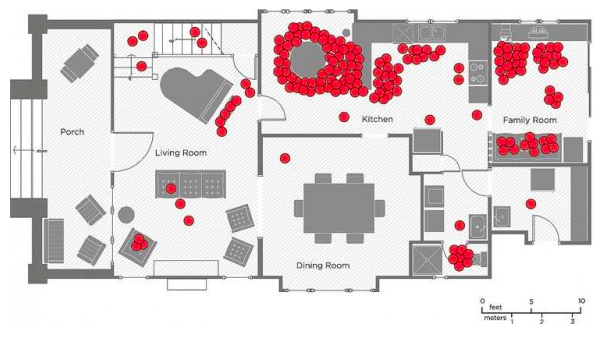 A heat map indicates just how little of this home is used with any regularity. So what’s the answer? Comedian Bill Burr jokes that “85% of [us] have to go,” but the solution may be presenting itself already, somewhat ironically, in the form of the current generation – the first in a long, long time to have a lower standard of living than their parents. These kids are graduating from colleges and universities with massive debt loads and dim prospects for the kind of earnings and job security their parents and grandparents enjoyed. It’s why billionaire entrepreneur Mark Cuban recently predicted the implosion of the US collegiate system. Not only can they not afford the cavernous homes and mounds of stuff that turned their predecessors’ cranks, but (and this is the good news) fewer of them seem to want them. Instead, the trend is towards smaller spaces, car-share programs and public transit rather than a Buick in the driveway, telecommuting, and a general philosophy of life that favours access over ownership. Born partly out of necessity and partly out of frustration at the Baby Boomers’ notorious excesses, this is a financial and cultural “juice fast” of sorts, and promises to be good for the environment, easier on the wallet, and lighter on the nerves than the Bacchanalian over-consumption of the last 60 years. I grew up in Victoria. I lived in Vancouver for 6 years, long enough to be able to make comparisons. I love space, fresh air and nature… not high rises, crowded city streets, stinky cars everywhere-because cars/air polluting vehicles, are everywhere in cities whether “high density” proponents choose to see them or not. I do not care about having fine food at my finger tips when I walk out the door, I can actually cook fine food and grow the food I eat. I do not care about having “exciting” things to do, available “only” in a city setting. Been there, done that and for me it’s quality rather than quantity. Nope, for me, high density cities are the definition of friction. Constant friction without reprieve. And no, the short “peace” one achieves in a downtown yoga class, etc., can never compare to an early morning bike ride, from the suburbs, on the Galloping Goose bike trail, into work, to my child’s school or to whatever task or pastime of the moment. Enough of that aside, what I am really here to say is- I love houses. Houses with acreage to grow food on. Houses where you can have space to host a large extended family and many friends-for more than a short, quick, barely get to see you visit, but for an actual, “I’m getting to know you, again, and spending quality time with you” visit. I love that there is room for an office, a huge dining room- to seat our frequent 12 person or more dinner parties. An art room, one in which big projects, that take time and cannot be disassembled every night to make way for the bed or office to be used in the same space, are created. A movie/tv room, a cold storage and canned goods room, walls to display our art collection, guest room for our Vancouver friends to come and just frigging breathe and relax in(and a an airbnb cabin in the works for more guests), a suite for relatives to live in and our bedrooms. I looked at the nice chart you provided with the heat sensors indicating the actual use of those spaces, it doesn’t apply in our house. There are 4 of us in a 3,000 sq ft house and we use all rooms on a regular daily basis. Also, I like “stuff”. I make it, buy it, recycle it, reuse it and re-purpose it. We made our bunk beds-out of beautiful throw away wood. We grow our own food-not all but a large portion of it. We happily accepted carpets given to us by a rich relative-and use them in every room. I just bought some more silver cutlery from a second hand store. We like stuff-while we may not use everything simultaneously, we use what we have enough to warrant having it; when my child is old enough to read the classics, we’ve got ’em here, won’t have to spend a moment looking for them and they are re-read periodically… not that having or owning things needs to be justified. Does it? I understand people who live in the city and their need to have a place to live if they choose to have that lifestyle but not at the cost of vilifying others choices. Pitting one person’s choice against another’s is exactly what the powers that be want. You aren’t happy with lack of rental apartments in Vancouver-talk to the Liberals and the Federal government-that’s where your tax dollars are going. We all know Federal gov stopped building affordable housing years ago, And we all know the Liberals have been planning, since Gordo was ruler, to turn B.C. into a retirement play ground for the uber wealthy. And it’s happened. Now, if you want change please do not attack your fellow citizen who has different ideas of what to live in… and if they don’t want high density in their neighbourhoods it should be respected. Or has that concept gone out the window too? Houses are wonderful. We lived in a 1100 sq ft, 3 of us and it really did not work for us. Just because it works for you does not mean the rest of us want to swallow your kool aid. Sounds like things are working out super well for you, BCgirl! Thanks for your comments! One more point to mention-we moved out of the city to achieve “less choreographed outdoor time” that living in cites demands. When we lived in the city and I wanted to take my baby/toddler outside, it involved me turning into a sherpa and “planning” where we would go and what we would do-for the most part, down to the most minute detail. Even so, we were outside 5-7 hours a day in summer and 3 in winter, rain or shine. Now, when we want “outside time” we just open a door. And walk out. Onto our acreage and wander. Or get on the bikes and go-without fiddling with storage lockers, elevators, endless stuffy stairwells, etc.. I disagree with the idea that houses correlate with less outside time-at least in our lives. And we do walk vast distances for all sorts of reasons, just because we enjoy the environment.Whereas Vancouver maybe a city where you can ski and surf in the same day but you now have to contend with the most ridiculously crowed outdoor spaces that it’s almost pointless going there, not to mention the travel time. 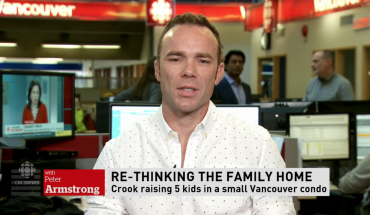 I mean, how many more people can Vancouver house? That’s a better question to ask. And how are these people going to get from point A to point B? Transit costs money and that’s run out in case you haven’t noticed. Just keep building more roads? Maybe think about decreasing density-people can now work remotely, does everyone have to live in the same city and make it so polluted, hard to travel in and frankly, bereft of any natural spaces not crowded to the point to discomfort? Try going camping in Golden Ears right now, or go for a hike to the Grouse Grind, Cory Rock in Deep Cove… if you like crowds you will feel at home. By the way, as much as I love Bill Bryson, using him in your article maybe was not the best idea; he wrote an homage to houses, essentially, called At Home: A Short History Of Private Life. Thanks again for your detailed comments, BCgirl. I don’t believe I referenced Bill Bryson, but rather Bill Burr. 🙂 Enjoy the outdoors! Dare accepted-I’ve spent my entire life walking, biking and taking transit-whether I’ve lived in a city like Victoria or Deep Cove area of North Vancouver. Or the Ambleside area of North Van too. Also have lived in and traveled in European cities where cars are not used unless long distances need to be covered. I spent a good part of my life despising cars as a main mode of transportation in the current form the encompass; resource destroyers, pollution creators, etc.. And sadly, was quite angry at people who chose that mode of transport for everyday life. Now, I see after years of political involvement in these, and similarly connected issues, that the only way to change people’s minds is through knowledge/education and example in action. Also, through love. Nobody’s perfect, most certainly myself. Taking a us against them stance serves no one, I say that to myself as much as I say it to another. Cheers!